Asher: the dog who was picked up from a remote road with injuries to both back-legs. He is still in the care of Fayette Veterinary Hospital. 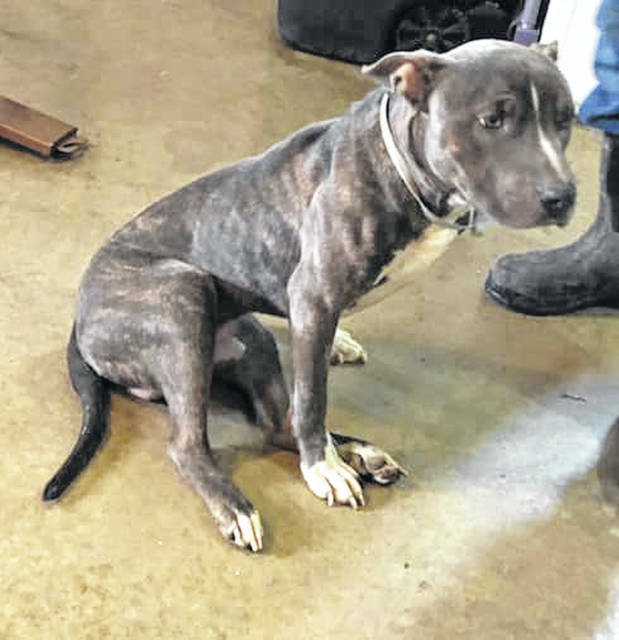 The Fayette County Dog Shelter is asking for monetary donations to assist with expenses for a dog who was recently found along a remote road unable to stand or walk. Asher was transported to a local vet clinic where he received x-rays and an exam. The x-rays brought back negative news. There were injuries to both of his back legs. According to Prater, Asher needed a pin in one back-leg and an FHO in the other back-leg. An FHO is a Femoral Head Ostectomy. It is a surgical procedure that removes the head and neck of a femur bone. The point of this procedure is to lessen or restore pain-free movement for an injured or damaged hip in a dog. It is replaced by a false joint. The Fayette County Dog Shelter has a post on its Facebook page with information and photos about Asher. Prater explained, “Usually [the surgeries are] a pretty pricey medical need that we don’t meet, but hopefully the community can help us cover that cost.” He added that it is uncommon to see injuries in both legs of a dog. According to Prater, it is believed the dog had been run over by a vehicle. Donations can be called into the Fayette Veterinarian Hospital. The phone number is 740-335-6161.